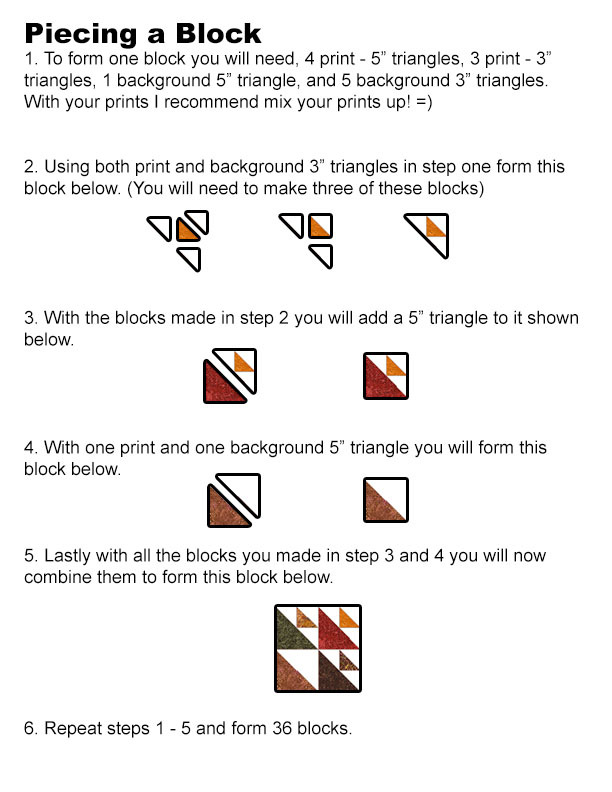 Fall is just around the corner and if you loved my Tide Pool pattern then you'll love this, it is the same block but the blocks are placed the same direction. I am in love with Timeless Treasure Autumn Batiks line! The colors and prints are just stunning. 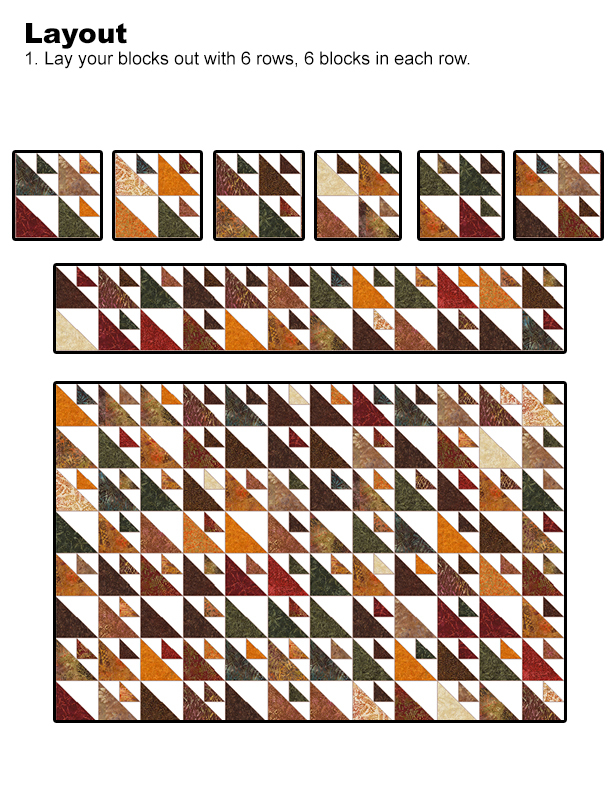 This quilt will take a little more time to construct from my other patterns but you will still have this quilt done in no time! Finished Size is Approx. 49" square. 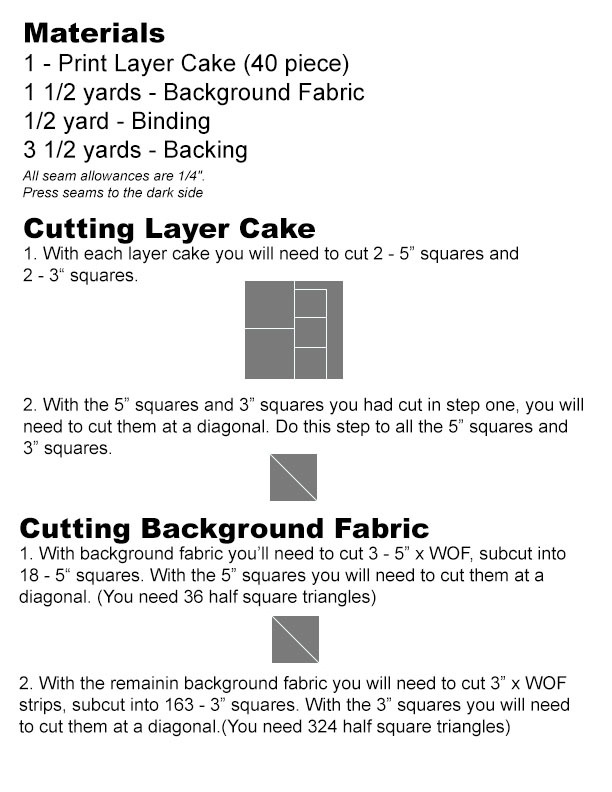 Don't forget about our Long-arm Quilting Services, I'd love to quilt your quilts! 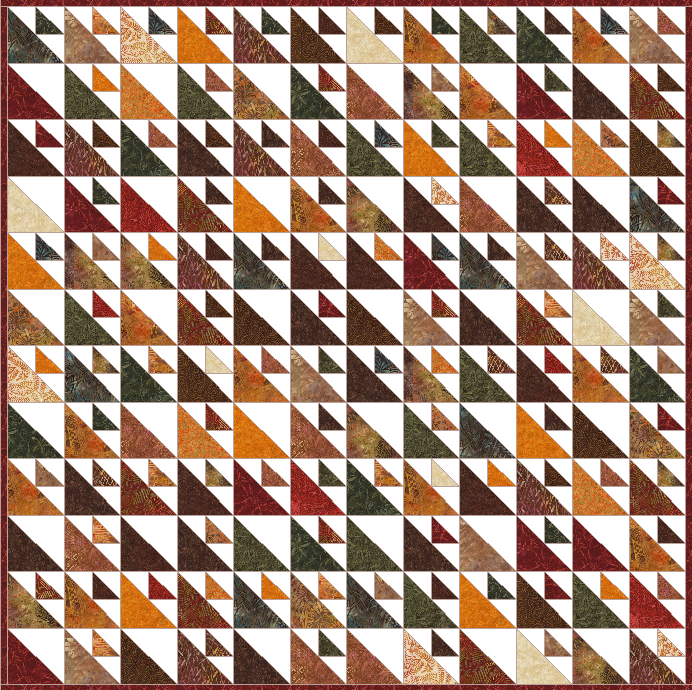 As I mentioned above the fabrics used in this quilt are from Timeless Treasure Autumn Batiks. Background is Kona Cotton Bone. Craftys has Timeless Treasure on sale for 20% off and some of the older collections are up to 50% off right now. Check it out here. Unless I'm just missing it, this pattern isn't available through the link for a pdf? I can do without it just fine but I just really prefer to follow along on paper rather than my computer so I was wanting to print it out. Is it anywhere else? TIA! Oh, actually I was able to save and print the images but I guess that's a heads-up for the link. :o) Thanks for the pattern! This is a lovely block! I have always loved the birds in the air! The PDF goes to the patterns pages, 1 & 2, but this pattern isn't listed. You could copy and paste these directions onto a blank Word document and print it off for yourself. Thank you VERY much for these beautiful patterns!